My little sister is born on Cinco De Mayo, so fiesta is a bit of an eternal theme for her birthday celebrations. I sadly can’t make her party this weekend so I decided to send a little fiesta in my place with some festive wrapping. I used fringe scissors, washi tape, and ribbons to give them an extra special treatment — and I think it’s official: I won’t be able to wrap a present without fringe ever again! Macarons. Mother’s Day Gift Ideas. 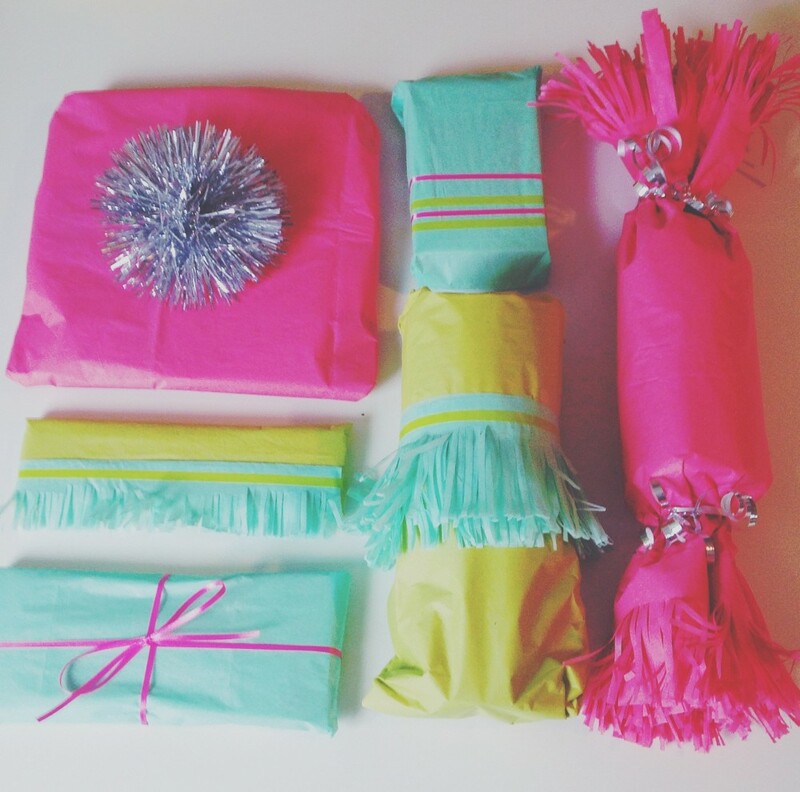 3 Responses to "Wrapping Paper Fiesta." This is torture–I want to open them right now! !